Gritt's isn't just a farm. It's magical place, a beautiful piece of West Virginia you will never forget. On the rolling hills that make up our farm, we have so many locations to tie the knot. In the sunshine, you can exchange vows in our breathtaking fields with the birds. 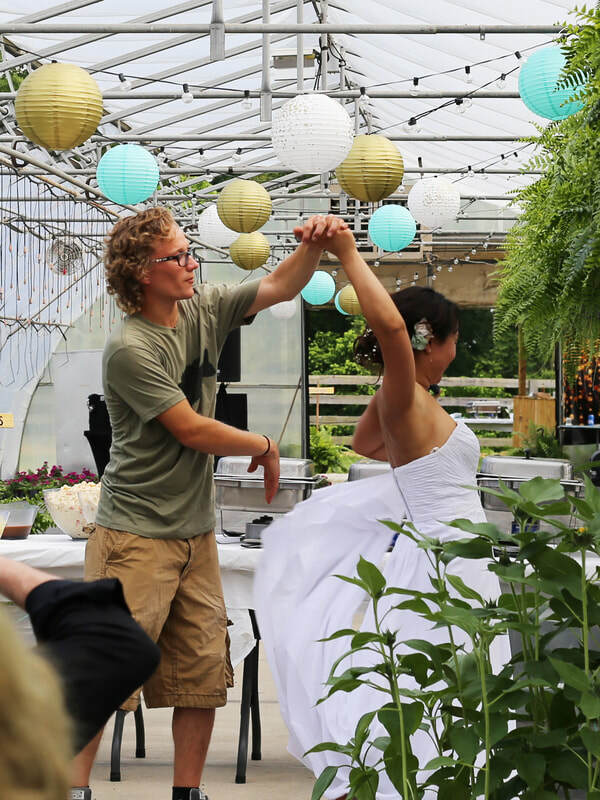 In the rain, you can say "I do" in one of our greenhouses, and dance by the blossoms. We have plenty of land to host a huge soirée with all the bells and whistles, but we've also got all types of nooks and crannies for a more quaint and intimate ceremony. And our Gritt's Gourmet chef is available to serve you and your families a fresh and incredible meal from farm to table. Note: Limited options during our Fun Farm from mid-September through October. 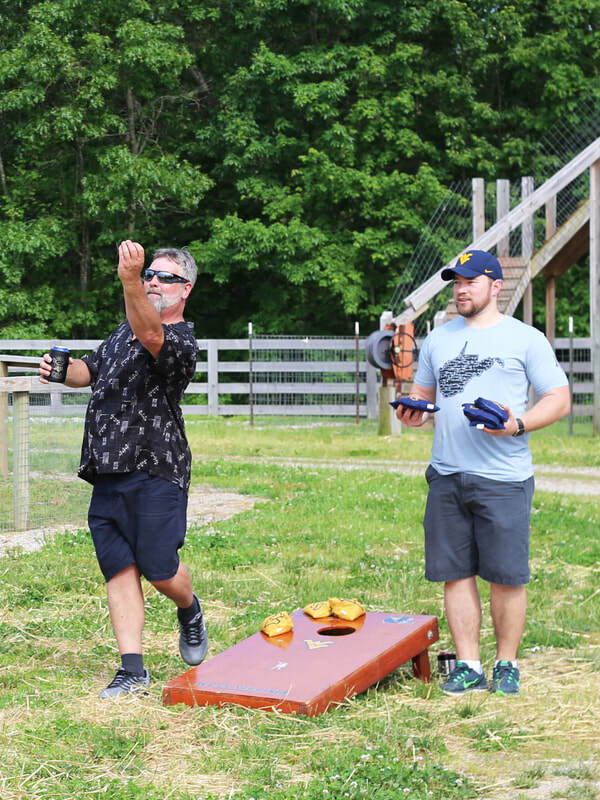 There's tons of fun at Gritt's. Slides, mazes, go-carts, zip lines, potato guns. Throw a birthday party or just a good old cookout with your buddies. We have several pavilions with shade and tables, fire pits, and so much room for activities. Ask about our catering options. Gritt's knows family. What better place to bring all your cousins, aunts, and uncles together than on our farm? We've got shaded pavilions and fields for days. Fire up the grill, and don't forget to tell Pappy to bring his famous BBQ sauce. And if you don't feel like sweating over the food, let our gourmet chef take care of it all for you. ​Note: Limited options during our Fun Farm from mid-September through October. 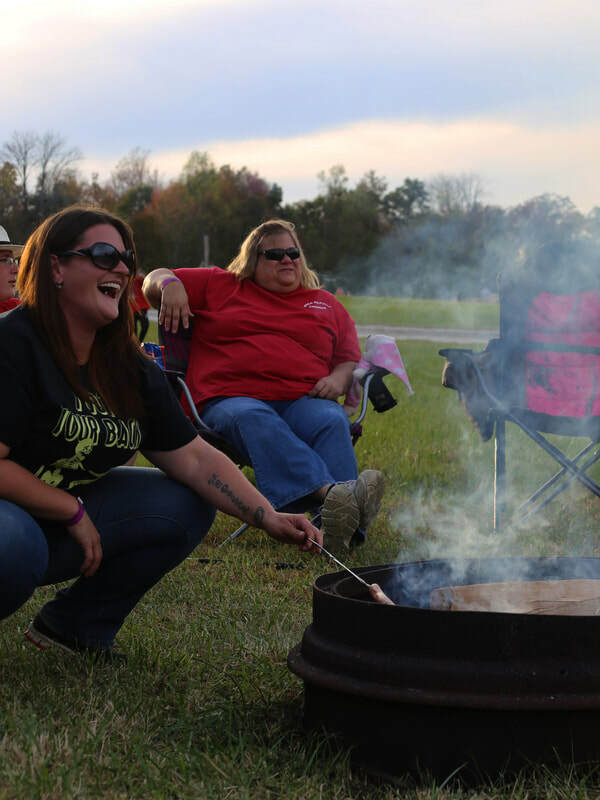 During the fall, our land is all Fun Farm, but you can still reserve one of our pavilions and tables or a fire pit for a birthday party or cookout . It's the best way to enjoy the Fun Farm in style.